MIAMI | Following a national search, Barry University’s Board of Trustees has named Mike Allen as the university’s seventh president. Allen, who currently serves as vice president for student affairs at The Catholic University of America in Washington, D.C., will assume the role of president July 1. 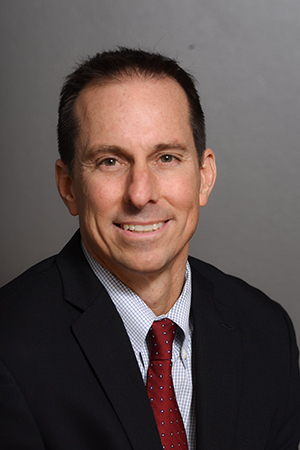 Mike Allen, currently vice president for student affairs at The Catholic University of America in Washington, D.C., will assume the role of president of Barry University July 1. He is the first man and lay person to head the school, founded and operated by the Adrian Dominican congregation of women religious. Allen will become the first man and lay person to lead Barry University since its founding in 1940. Featuring two colleges and six schools, the university has a student enrollment of more than 7,000. He succeeds Adrian Dominican Sister Linda Bevilacqua, who has served as Barry’s president since 2004 and will become President Emerita effective July 1. Sister Linda announced her retirement in June 2018. "Mike brings all the elements of leadership, character, service, and caring that our board was looking to find in an ideal candidate,” said John Bussel, chair of Barry’s Board of Trustees. “Known as a strategic, visionary and creative thinker, Mike's knowledge of and commitment to Catholic higher education and his engaging and dynamic approach to people and issues will lead and inspire Barry students, faculty, staff, alumni, and friends as we strive to better ourselves and each other." Bussel noted that Allen is inheriting "the extraordinary, mission-driven legacy" of Sister Linda and her five Adrian Dominican predecessors. "His demonstrated commitment to a culture of concern for others and his inclusive and welcoming nature will ensure that Barry's commitment to learn, reflect and serve will forever remain at our core," Bussel said. A seasoned higher education administrator with more than 25 years of experience, Allen currently serves as a member of the senior leadership team at Catholic University, providing guidance and recommendations for all matters related to student experience, with close collaboration on enrollment, academic, fundraising, and capital project initiatives. Prior to his role as vice president of student affairs, Allen served for eight years as associate vice president and director of athletics at Catholic University. He also worked in various roles designing and implementing academic support programs for students at Florida Atlantic University and the University of Connecticut between 1993 and 2005. He holds a Bachelor of Arts from Trinity College, and a Master of Arts and doctoral degree from the School of Education at the University of Connecticut, where his dissertation and research focused on the academic socialization and personal development of intercollegiate student-athletes. Founded in 1940 by the Adrian Dominican Sisters, Barry University offers more than 100 bachelor’s, master’s and doctoral degree programs.